Win 1 of 10 signed advanced reader copies of Misadventures with My Ex by Shayla Black! Who is Fooling Who is the Question! 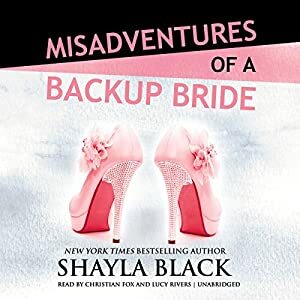 Misadventures of a Backup Bride is #04 in the Misadventures Series by Shayla Black. Christian Fox and Lucy Rivers narrates. This is a Multi Author series, written as a standalone. You do not need to read them in order. 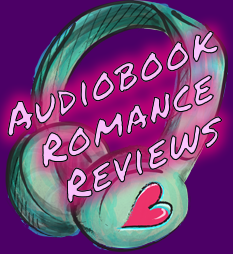 I’ve listened to several titles in this series and they have all been very steamy! The stories are page turners too, which makes them a win, win for me! The consistency as a whole has been great even though this is a multi author series of standalones. Most of the Misadventures can be found in the library as well as various subscription services so they are easy to come by. Carson Frost is trying to salvage the business left to him by his birth father, but his rash choices are coming back to haunt him. He took a deal with a competitor for the money he needed to keep the business afloat and the shiny coins aren’t shiny or even real coins anymore. In an effort to get out of the deal he hires Ella Hope to be the long lost love of his life … that will get him out of his current engagement … and then dump him at the altar … Simple, Right? Ella Hope is a struggling actress. Her love life, as well as her bank account, have seen better days. She remembers Carson and how she would of been interested if she were not on a date with his friend. The call was welcomed timing. Spending time with the hot guy from the party while padding her bank account sounds like a solid plan. She is a professional … she can do this … Simple, Right? It wasn’t Simple! Things heat up fast, and their well laid plans go out the window. As the outside players keep changing the rules, things get crazy. Well, more crazy, because things started there in the first place. Lies become real, while the real becomes lies. Don’t believe anyone till its all said and done! A good time will be had, and that is not a lie! Shayla Black is a go-to for racier reads with awesome characters. 😊 She did not disappoint with this title. Christian Fox and Lucy Rivers narrate this title with alternating POVs. Both individually did a great job in their pacing and emotion. I do wish it would of been a true Duet though, because they end up, by default, competing with each other for who did the character better. It’s really hard to pick a clear winner.